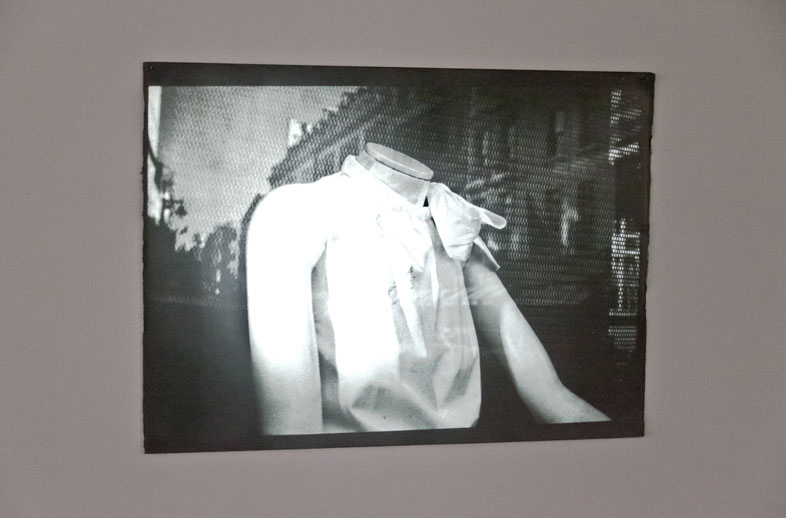 Borrowing its title from one of Eugene Atget's iconic 19th century photographs of Parisian shop fronts, Avenue des Gobelins is a meditation on the mystical, ritual nature of material desire and consumption. 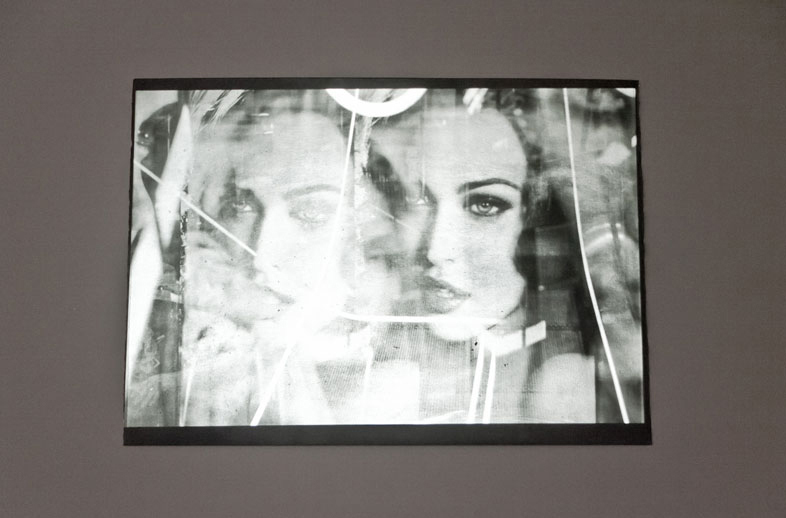 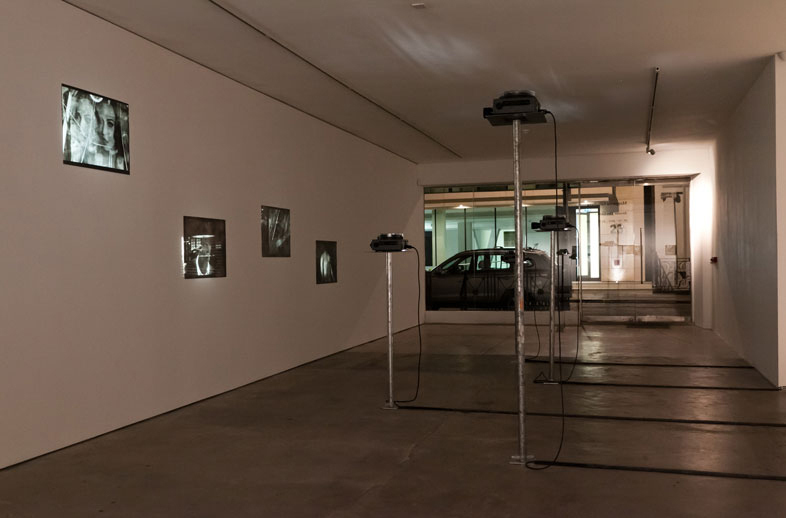 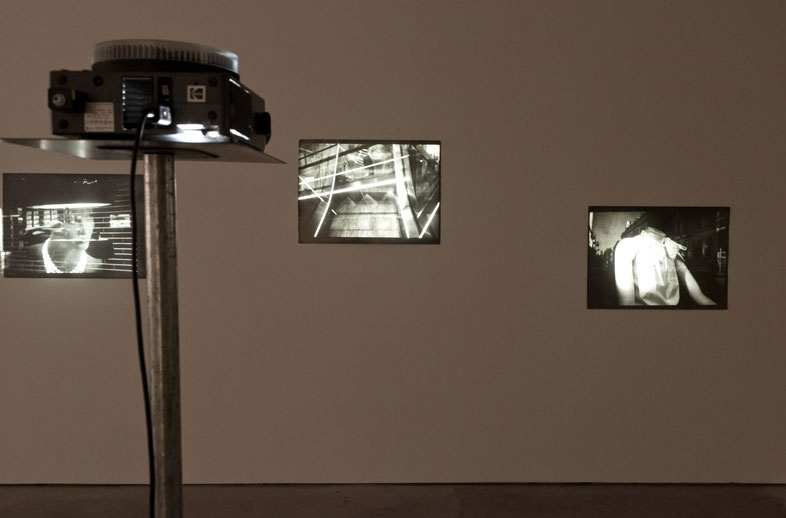 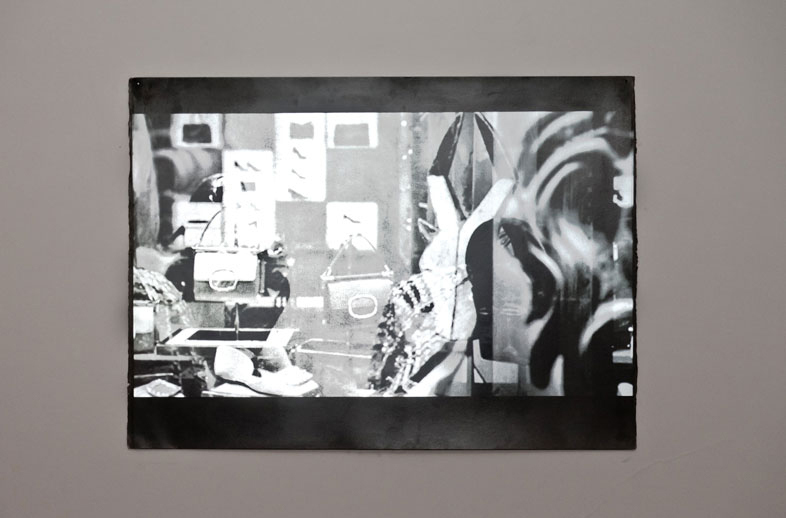 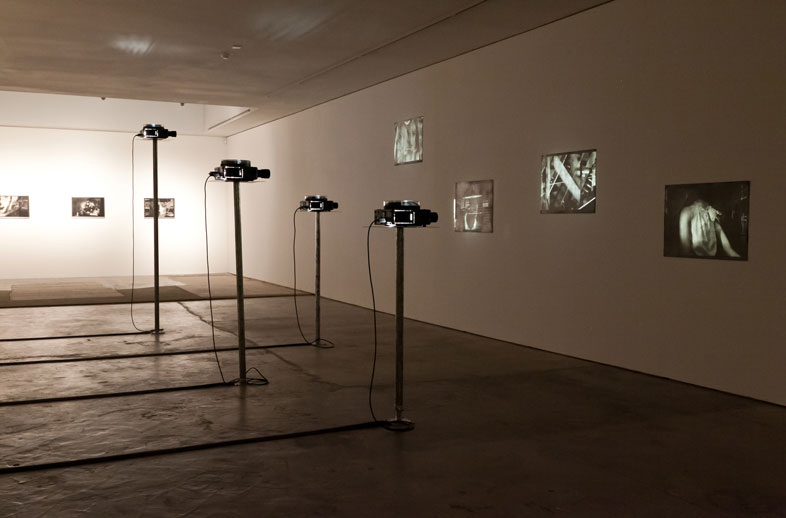 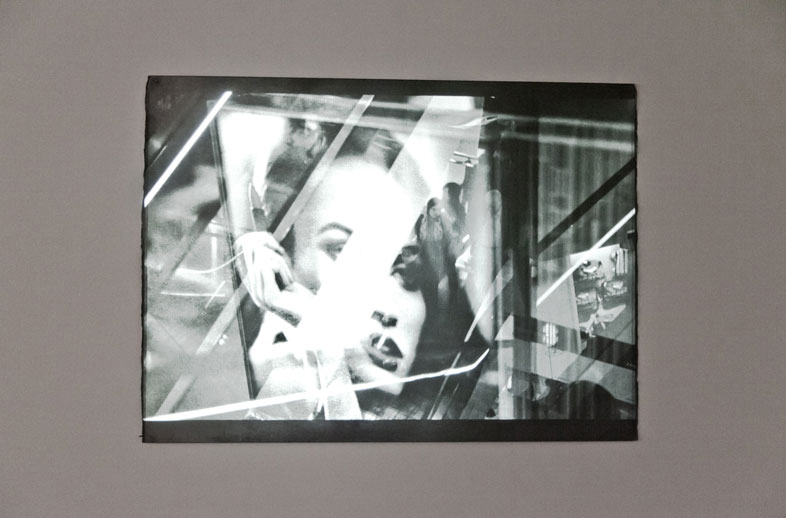 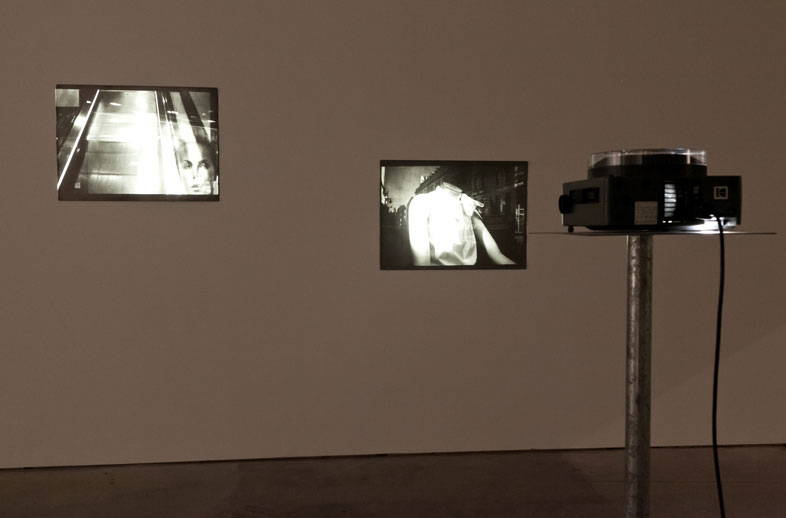 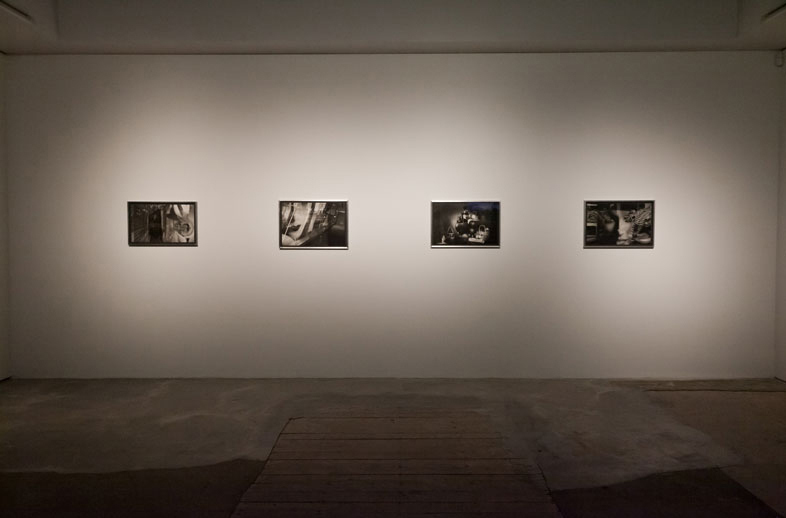 Avenue des Gobelins comprises of four slide projections, a video projection, and platinum prints – all the material originally shot on 35mm black and white slide film. 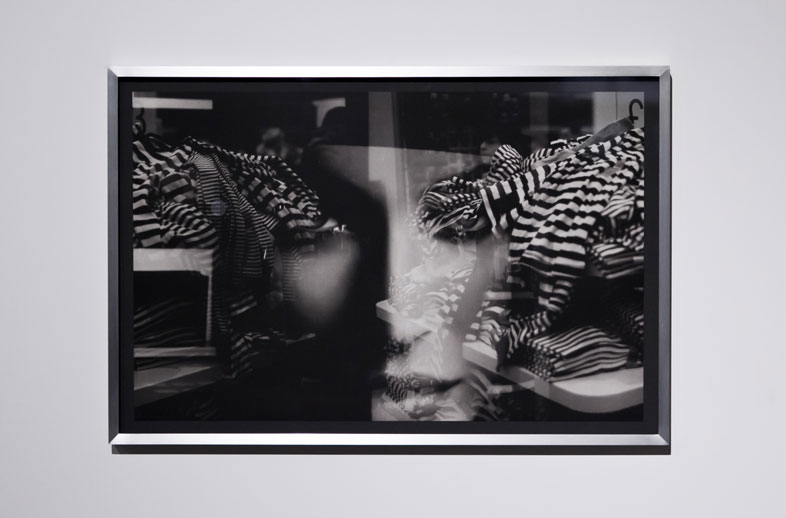 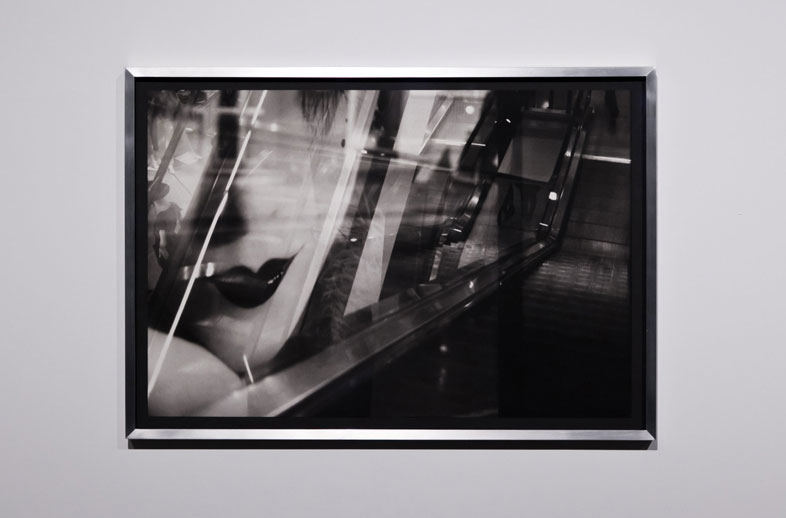 By double and triple-exposing the film, Gluzberg adopts the analogue photographic techniques of the Surrealists, to weave a mesh of consumer signs and spaces: the black gleaming lacquer of Chanel, reconfigured by the chaos of a Saturday afternoon at Primark. 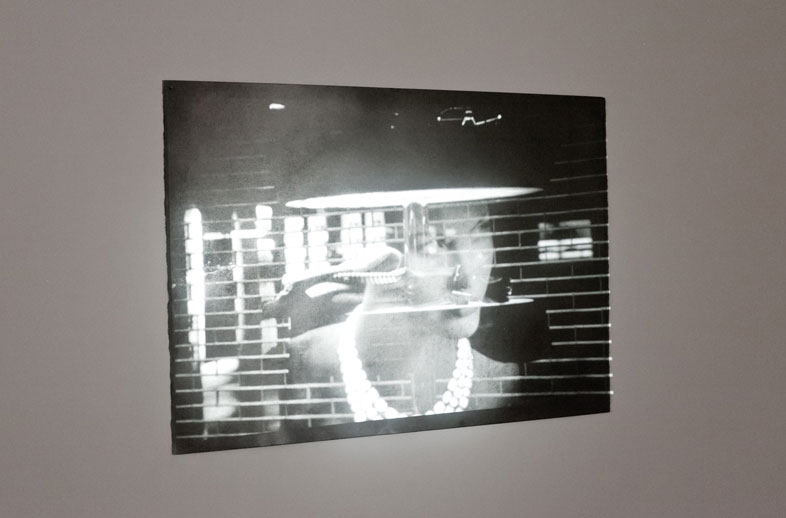 These images echo an age when consumer fictions were being invented for the first time, brought back to the present, a present where such fictions are becoming increasingly unsustainable.